Green School English @ Green Camp is an intensive 9 day English language and experiential learning adventure for students aged 8-14. 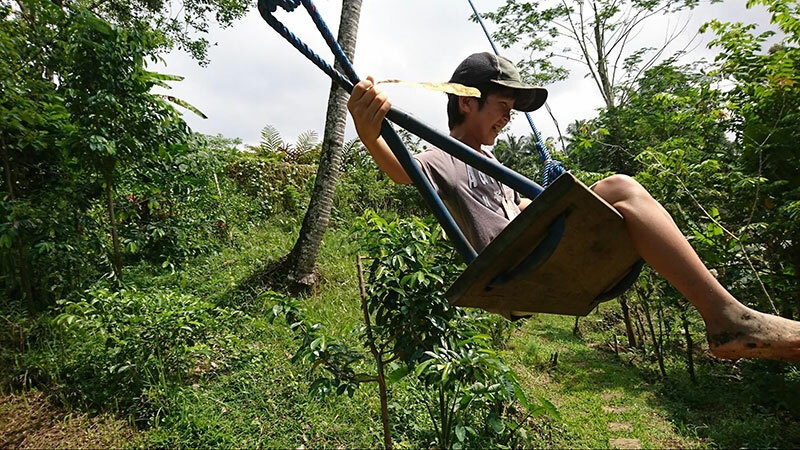 Set in the jungle on the internationally acclaimed Green School campus, Green School English @ Green Camp offers a learning experience which will engage young minds and bodies in both immersive English language learning and outdoor adventure. Green School English is an immersive English program for international students who want to focus on their English language skills in preparation for entrance into Green School or another English-speaking international school learning environment. Offered in two semesters from April-August and August-December, semesters consist of four 4-week blocks. Students can enrol for a full semester or any number of blocks they are available for. 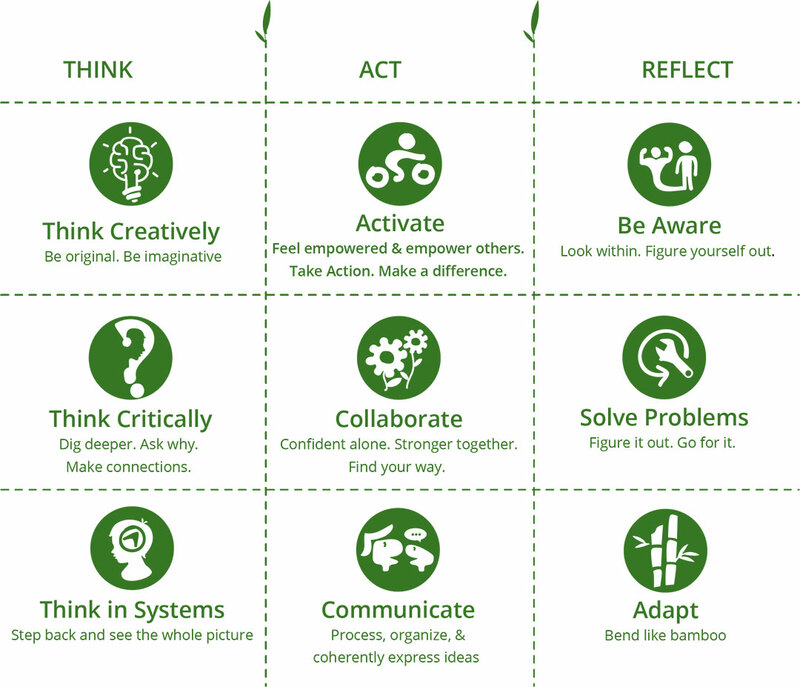 What is Green School English? 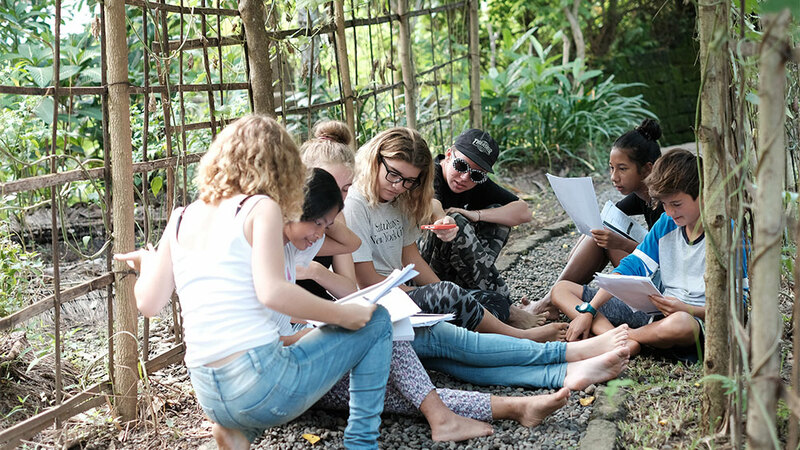 Green School English offers full-time, immersive and holistic English language learning experiences for international students and local students. 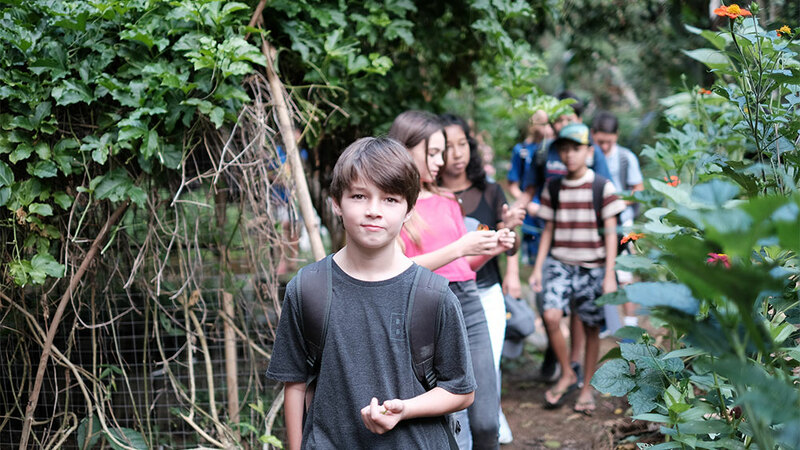 Green School English programs encompass classroom learning of integrated language skills, as well as experiential learning components that connect students with nature, provide service learning opportunities, and offer exposure to practical skills building and outdoor adventure. 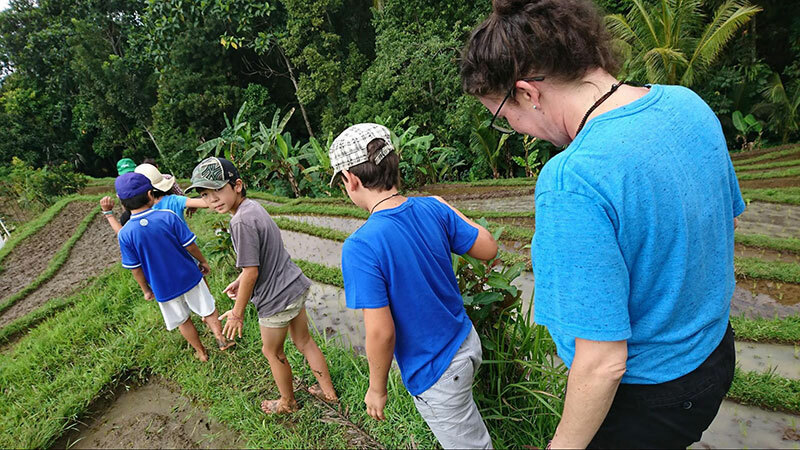 Green School English courses draw on the rich cultural and natural environment of the locality and offer a bridge for students learning English to apply for enrollment as full-time members of the internationally acclaimed community of learners at Green School Bali. Green School English supports the Kul Kul Connection, Green School’s Community Integration Program, that connects the international community of Green School with the local community of Sibangkaja. 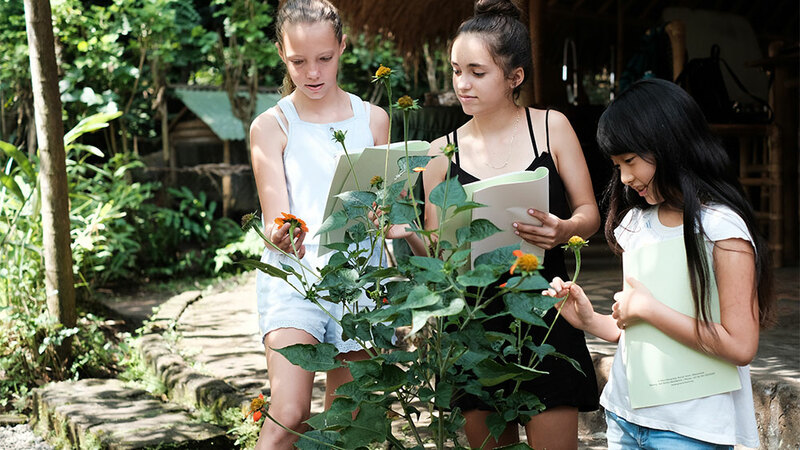 Established in 2013, Kul Kul Connection engages with over 300 local students annually through an after-school English and Sustainability learning programme at Green School Bali through the Trash for Class programme. Students pay for this programme with 5 kg of recyclable trash per semester saving tons of waste from local waterways, beaches and oceans. All profits from Green School English go towards Green School’s Kul Kul Connection program. Who can Apply for Green School English? 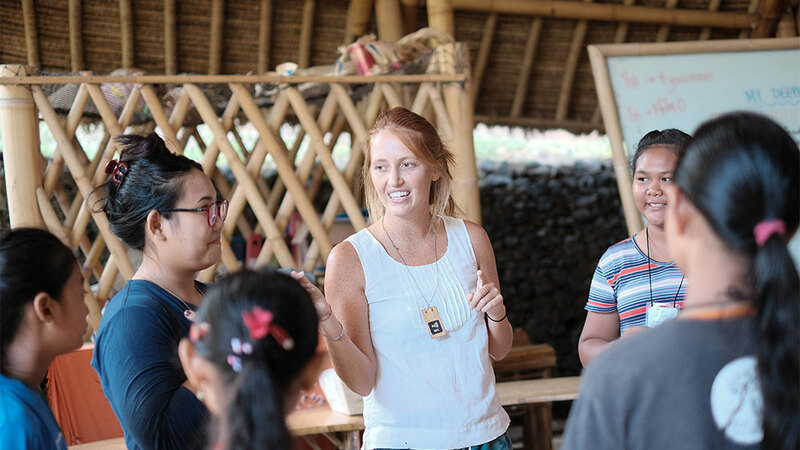 Engagement as a full-time member of the internationally acclaimed community of learners at Green School Bali.